Welcome home to Wolf Creek where ideal location meets many glorious recent updates in this 2 Story beauty. Enter into a sunny formal living room that flows into the family and kitchen perfect entertaining your guests. The kitchen boasts gleaming hardwood floors, stainless steel appliances, pantry, and eat-in space, that flows into the generous family room with gas fireplace. Upstairs is the sunny master bedroom with vaulted ceilings, walk-in closet, and ensuite bath. The master bath includes vanity and walk-in shower. Completing the upstairs are two guest rooms with serene backyard views, and a full guest bath. Finished basement extends your living space and offers endless potential. Enjoy outdoor entertaining in your beautiful, professionally landscaped backyard with large stamped concrete patio, garden beds, and storage shed. 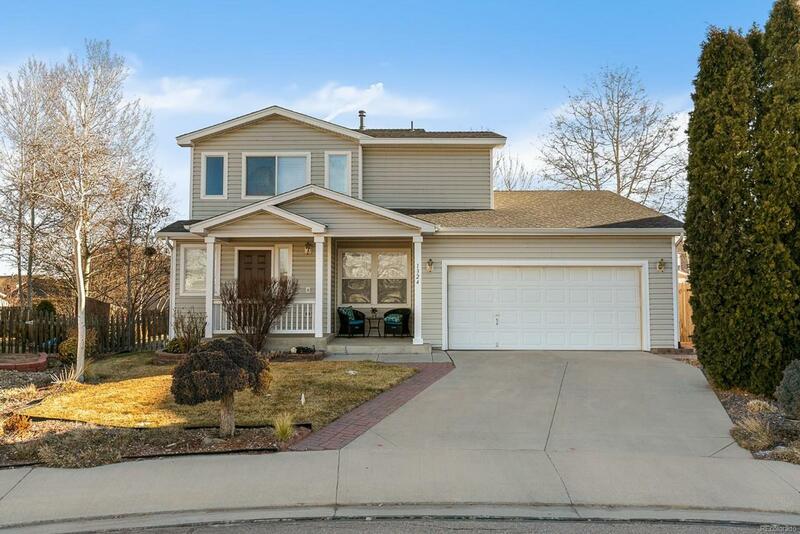 Enjoy Boulder County living at its finest including nearby parks and Ute Creek Golf Course all just minutes to Hwy 119 and I-25 making your commute a breeze.